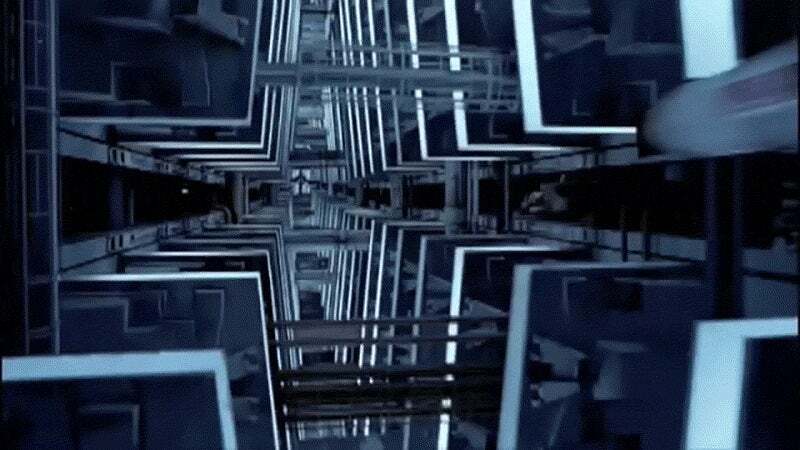 Image Cache: This immense steel structure looks like the Death Star's interior from Star Wars Episode VI. 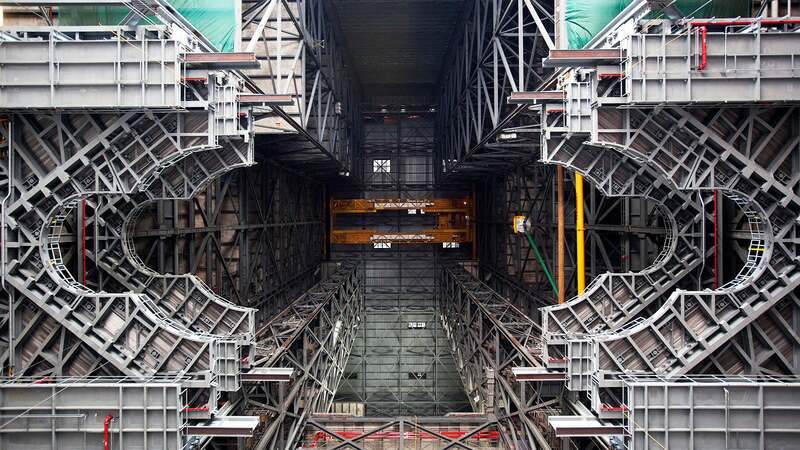 But you're actually looking up and into High Bay 3 of the Vehicle Assembly Building at NASA's Kennedy Space Center in Florida. Browse through the cool photos, animations and diagrams in Gizmodo's Image Cache here. The lower platforms are the K-level work platforms. Above them are the J-level work platforms [...] about 34.14m above the floor, or nearly 11 stories high. 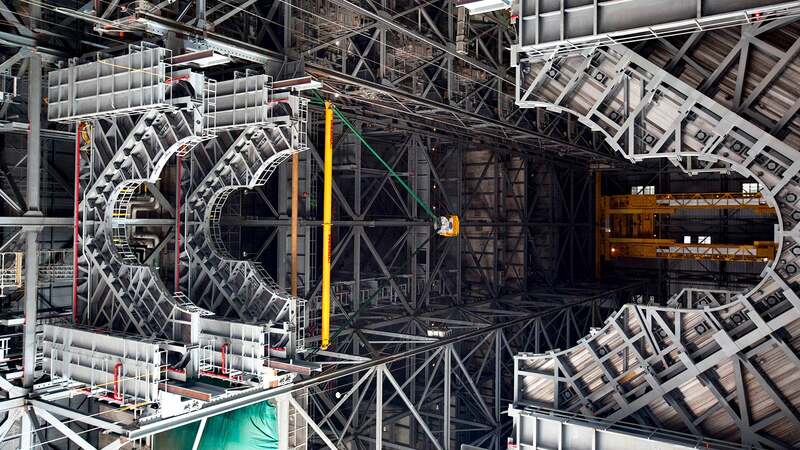 The newly installed platform will complete the second of 10 levels of work platforms that will surround and provide access to the SLS rocket and Orion spacecraft for Exploration Mission 1. The Ground Systems Development and Operations Program is overseeing upgrades and modifications to VAB High Bay 3, including installation of the new work platforms, to prepare for NASA's journey to Mars.